Mmmmm, coffee. The strongest, most intense way to snap yourself out of sleep mode, right? Well, about 6 months ago I gave up drinking coffee, because more than waking me up, it just elevated my heart rate. That made me stress out more easily, sweat a crazy amount, and I would even get the shakes from time to time. It was a lot. So I’ve been coffee free, until now. 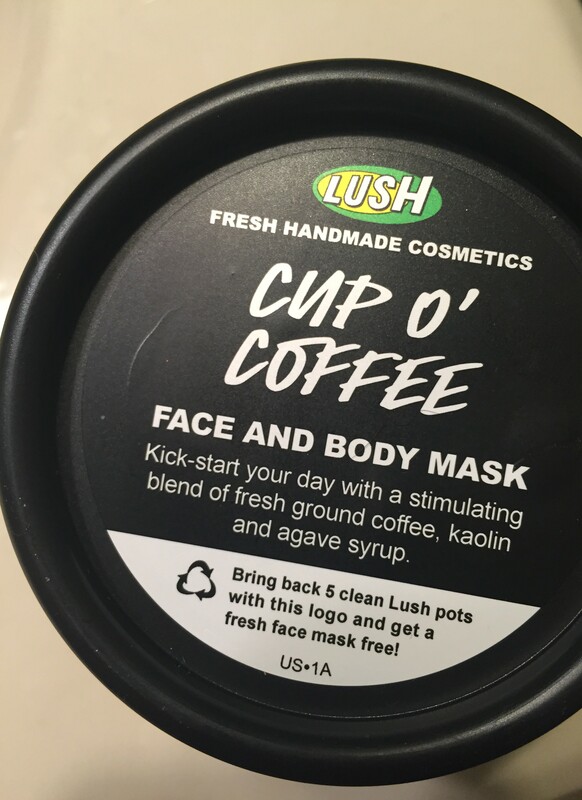 I bought Lush’s Cup O’ Coffee mask for face and body last month because while I don’t drink coffee anymore, I still really enjoy the smell. So I saw it at my local Lush, and grabbed it for (almost) just the scent alone. It’s pretty darn good, Fangirls, It’s an exfoliating mask, and I use it every couple of days (opposite Rosy Cheeks and Don’t Look at Me). It is fun of actual ground coffee, cocoa extract, Kaolin, and other wondrous things. It helps buff off dry and dead skin. But, it is something the requires a moisturizer. Luckily, I use one, but if you don’t, and are considering Cup O’ Coffee, you should find a moisturizer to put on post shower. 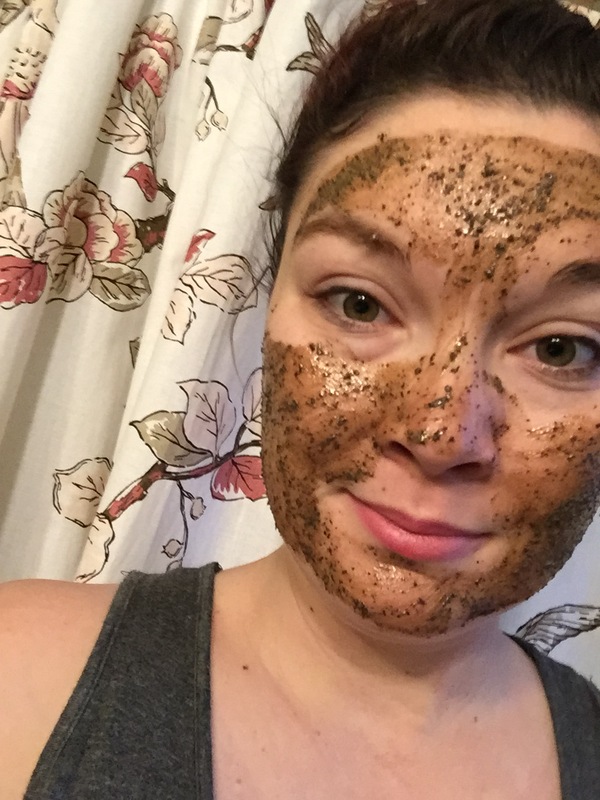 To use Cup O’ Coffee, you wash and pat dry your face, smear some mask on, wait five to ten minutes, and scrub it off. I usually wash my face and apply the mask before doing some simple exercises, then wash it off in my shower. It makes me feel more productive, and like I’m doing good things for my body (pampering while working on my booty). After using Cup O’ Coffee, my face felt clean and refreshed, but I was worried about getting the caffeine buzz that I have been avoiding. I spoke to the woman who recommended the mask at the store, and she said that she uses Cup O’ Coffee at night, and she doesn’t have any issue falling asleep afterwards. Luckily, I had the same experience. Though I use the mask in the mornings, I don’t feel highly caffeinated or shaky at all afterwards. Thank goodness. I don’t plan on using this on my body (maybe on my hands), so I can’t really speak for the usage there. I do, however, love using it on my face; it’s a great amount of scrubby without being too abrasive, and it’s something that lasts, as I only use it every couple of days. 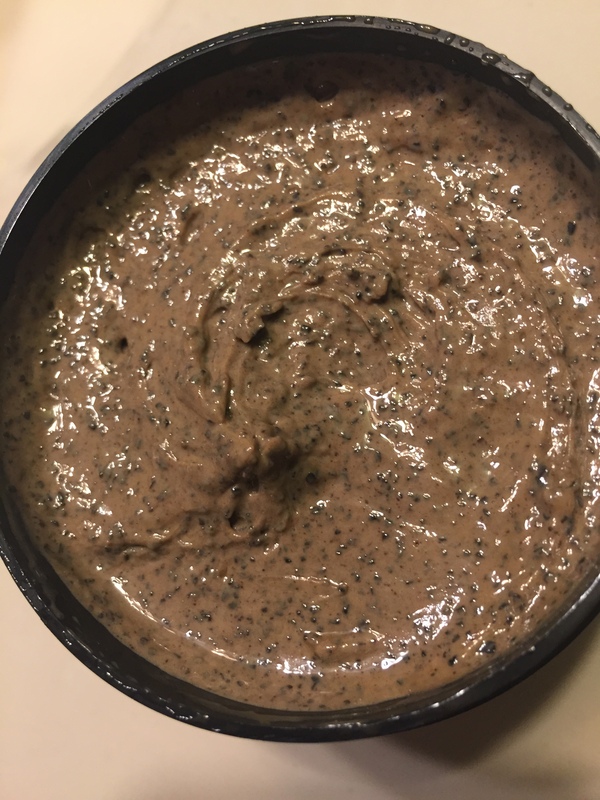 If you’re looking for a new, scrubby mask, go for Cup O’ Coffee; it’s intoxicating scent and amazing exfoliation will start your day off right. You can order Cup O’ Coffee here, for $10.95.